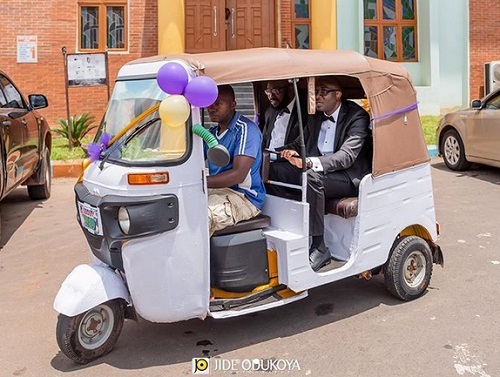 An excited groom added some dramatic flavour to his wedding as he was transport to Church in a tricycle commonly known as Keke Napep. 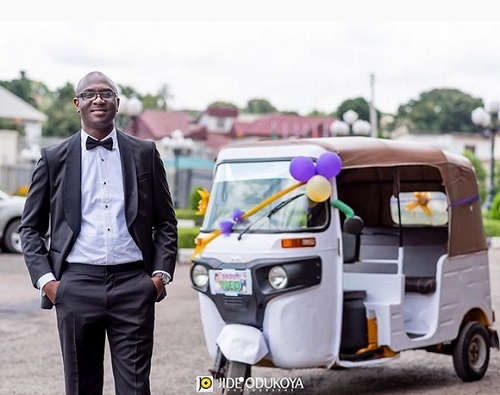 Sources say the man, Chuma, struggled a lot while he was in Nigeria and decided to use the special occasion to remember his past years. 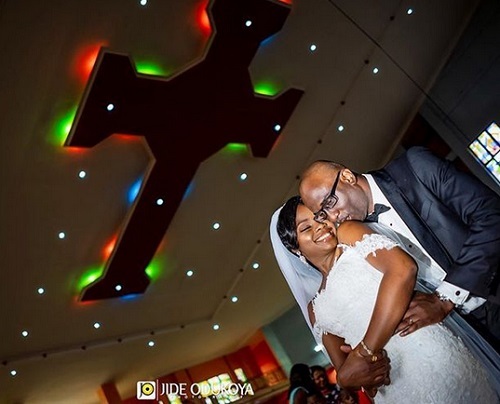 Happy married life to them!